Our construction management team provides all of the construction and supervisory services necessary for the full development of raw land, the redevelopment of existing properties, and the completion of tenant improvement projects. Our organization and its partners have been involved in the development of projects that range in size from a few thousand square feet to any thousand acres. We have the expertise to work within the constraints of virtually any budget and deliver a finished project on time. In many instances, we provide clients with site planning services or consulting services for assessing an existing project’s potential for improvement. Then, with the strategy defined, we resolve zoning issues, obtain permits, and supervise architects, suppliers, finish-work and landscaping contractors. PRP and our affiliates are also highly sensitive to environmental issues and guide our clients through the myriad of regulatory requirements. Concurrent to this activity, we pay strict attention to detail, budget and timing. 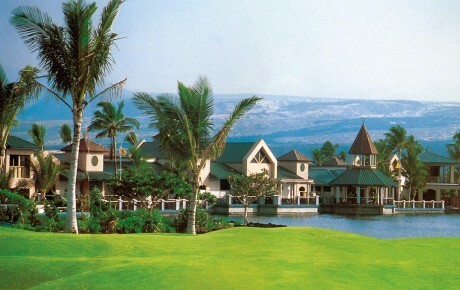 Resorts, hotels and golf courses represent a unique segment of the real estate industry. By their very nature, they require a crossover of services from land planning, retail components and residential requirements, along with extraordinary attention to recreational amenities and landscaping. Our affiliates have achieved a successful track record in the development and management of a variety of prestigious properties. One of our most outstanding developments is the internationally recognized Waikoloa Beach Resort, featuring over 31,000 acres of planned and landscaped grounds, including over 3,210 suites and condominiums, championship golf courses, and extensive retail and restaurant facilities. Access to competitive real estate financing can be particularly difficult in this volatile financial climate. Interest rates and the criteria for loan qualification can seem to change unpredictably. Since PRP enjoys strong relationships in both the mortgage and brokerage services fields, as well as in the debt and equity re-structuring arena, it can help its clients meet the challenges posed in financing a real estate project. One of our unique capabilities is a Securitization Program which allows income property investors to benefit from similar programs previously available only to investors who have a portfolio of exclusively residential property mortgages. By pooling the income property mortgages we are able to create new investment instruments for the secondary market. PacificRealty Partners’ ability to review the assets, recommend the proper structure for the securities, provide the requisite credit enhancement, obtain an appropriate credit rating and negotiate the sale of the securities maximizes our client’s return on capital. Our service enables passive real estate paper to be converted into new-found liquidity. Securitization, of course, is only one of our recently developed programs. A variety of creative financial services are now available and we can tailor instruments to satisfy a client’s specific needs.